A tower defense game - weather the tides of jelly! I had a lot of fun with this! It's a very slick tower defence game, and I love the visuals and the music. I enjoyed it more when I made my own level, which turned out to be quite a challenge (Because the enemy spawning is the same for every level, shorter levels tend to be a lot more difficult), and it actually forced me to figure out the best places to put the towers, and when to upgrade them. Like you said in the forums, there's no real balance at the moment, but you can kind of make your own balance, with the level editor. I was trying to make this great dynamic system but never got it working properly...the way it is right now just happens to be the state it was in once it finished breaking. I'm still a bit burned out at the moment but at some point I'll have to redo the wave system from the ground up, the current one is a mess where each wave has a fixed budget but also quotas to fulfill and in addition tries to take into account how long each enemy type lives on average...it's pretty terrible. I loved how you made everything very clean and simple. This must be a pain to balance for a jam! Nice Job! Haha...yes, balance...that is totally a thing I did. I thought: why is this so hard? But then realized you can upgrade your towers. I did that and immediately created a big jelly massacre! Everything is very slick, the music, UI, the disgusting sound effects, the simple, but effective graphics - all very well done! 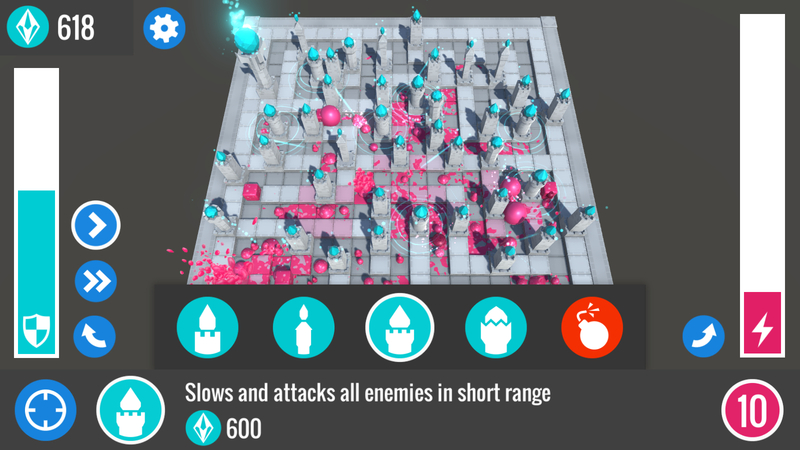 This might be the slickest tower defense game I've played. I failed the main levels but had no problem with cool.txt (which I made). Great concept for the title! The whole design was clean and fun! I love the way you posed the geometric towers against the amorphous Jelly. And extra props for making you game immediately extensible with the map editor! Thanks for the feedback! Did a bit of testing earlier and they are indeed op. I'll nerf them a bit. Very nice look, both the art and the UI design. The game is also pretty fun. Its satisfying to squish all those jellies. Great visuals, design aesthetic. Good splorpy sounds too. 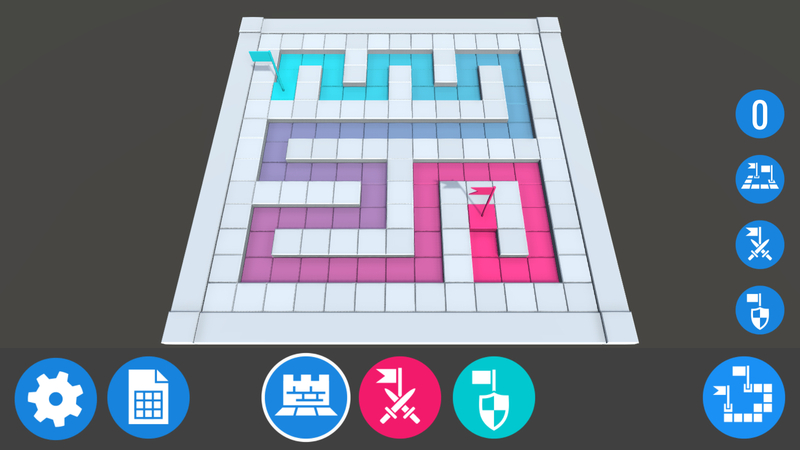 For such a jelly filled game, your style is super clean and communicative. Great work!